Photoshop is one of the most important tools for the vast majority of designers in the world, because it offers everything that's necessary for photo enhancement and image processing. The program has so many functions that it's necessary to have a good manual to be able to make the most of the development's full potential. 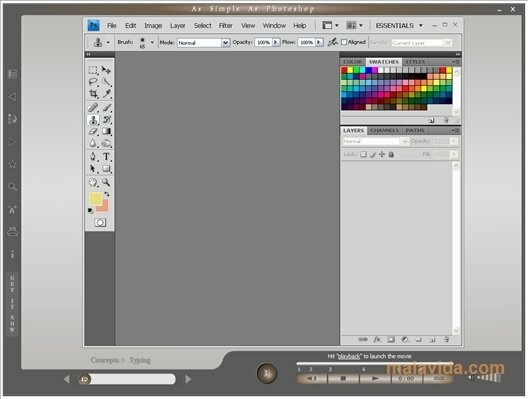 As Simple as Photoshop is an interactive tutorial that will help you to quickly understand the functionality of each tool, because by means of examples it will explain how the layers work, how to apply filters or how to design your own brushes. The tutorial hardly uses any system resources, thus, it can be active while you're using Photoshop at the same time. The interface is very simple and has all the information perfectly organized. 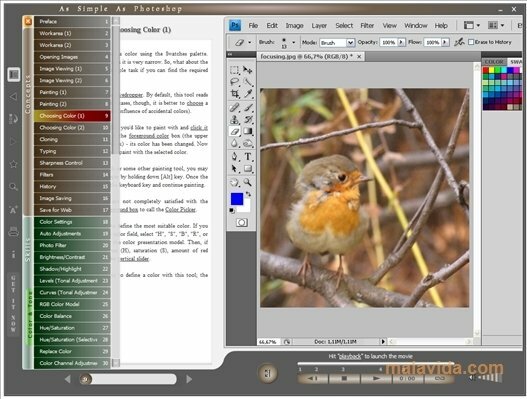 Discover how to learn all the secrets about the most powerful design and photo enhancement program in the world, thanks to As Simple as Photoshop. The trial version only includes the first chapter.